You want blueprints? We’ll give you blueprints in any color you want. There is no end of the colors we can produce. Tell us where you want them and what you want them on. Upload your print-ready file and get started right now. Paper, toner and ink and all the supplies you need for your large-format printers and plotters. 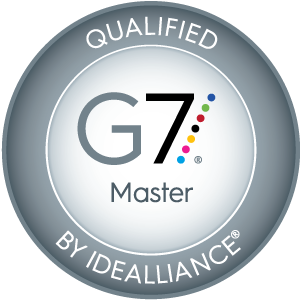 Our facility has been qualified by Idealliance as a G7 Master, proven capable of performing the G7 methodology on proof and press. We’re friendly, and we’re looking forward to speaking with you. During business hours, a live person will answer the phone, which you’ll find refreshing. We look forward to a kind message from friends and strangers alike. Have you heard a good joke lately? If it’s clean enough to share, send it to us. We could use a laugh. If you haven’t stopped by to see our showroom, you’re missing out. We keep the whole place clean, just in case you drop by. 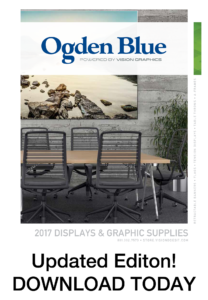 When good enough isn’t enough, Ogden Blue makes it great. Donna consistently ensures that obtaining advertisements, informational displays, and sponsor signs are extremely convenient and effortless for the customer. About a year ago you helped me with a campaign issue. I needed a business card sized notice with the capability to link to my candidates website. You were so helpful! Your suggestions and advise led to a very successful product. I believe those cards, as they were handed out on doorsteps, parades, and left in offices to be given out, made a huge difference in our successful bid for the office of WEBER COUNTY RECORDER/SURVEYOR! Leann Kilts was elected! Thank you for helping us win the election! Great service. Your people always call if they have a question, and orders are completed promptly.